What on earth do you think you’re doing with that wool? 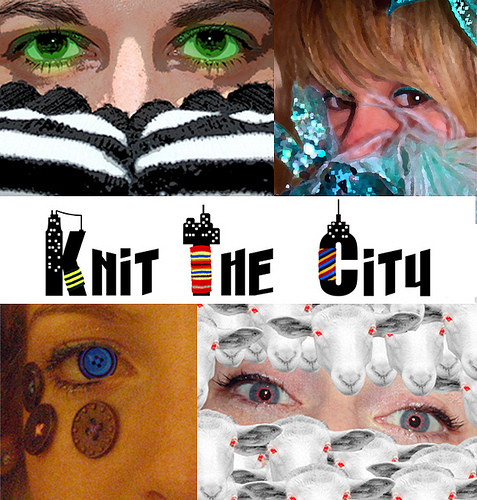 Knit the City are a crack collective of four woolly warriors who have been turning the city knitwise since they were gathered by the mysterious Deadly Knitshade in February 2009. 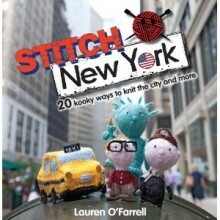 Made up of Deadly Knitshade, The Fastener, Shorn-a the Dead and Lady Loop, they have an ongoing mission to guerilla knit the city of London, and beyond that the world, and bring the art of the sneaky stitch to a world without wool. 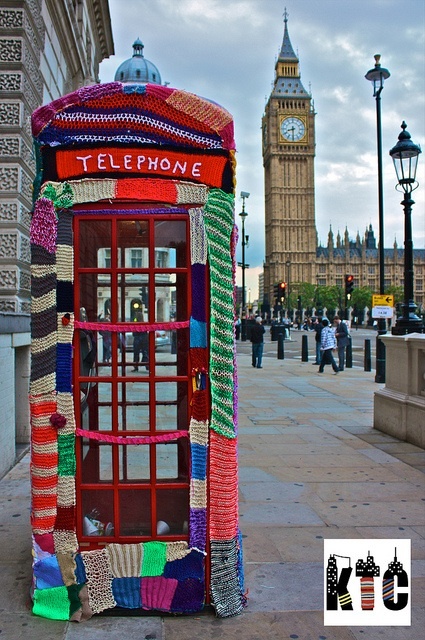 No part of the city is safe from Knit the City’s woolly war on the mundane, humdrum and expected. Each of the Yarn Corps‘ individuals have their own reasons for their knitty crimes but our mission remains the same: to yarnstorm until we can yarnstorm no more or until the needles and hooks are pried from our cold dead hands. Or until it’s time for a tea break. We have needles. We have hooks. We have stitched stories to tell.